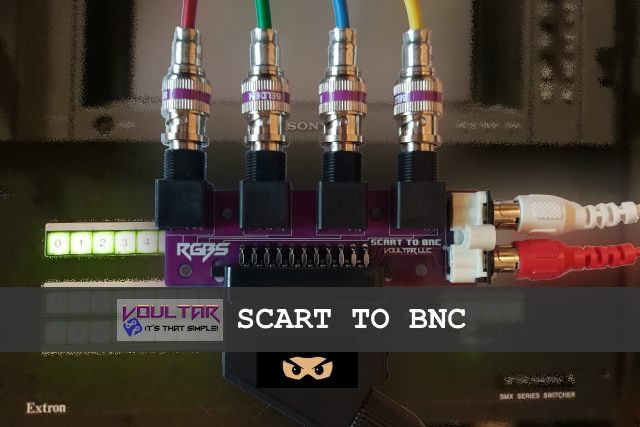 High quality fully populated SCART-to-BNC breakout PCB including audio RCA audio output. 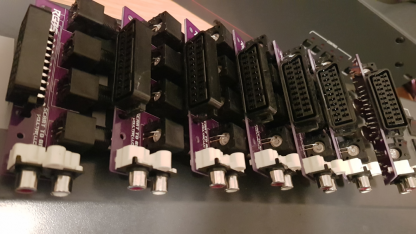 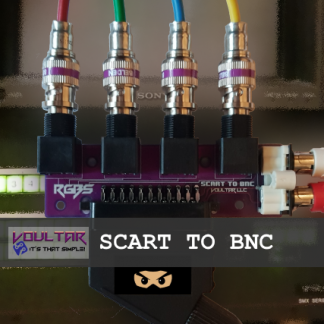 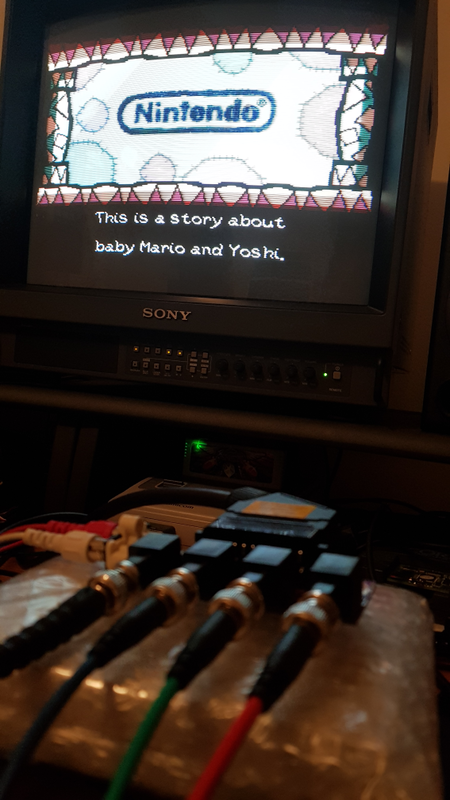 Designed by Voultar – for connecting to PVM/BVMs, Extron Matrix Switchers and other RGBS devices. 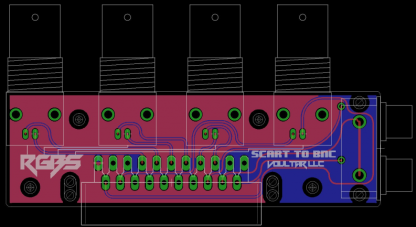 PCB has mounting holes to allow for PCB feet or mounting on monitors.